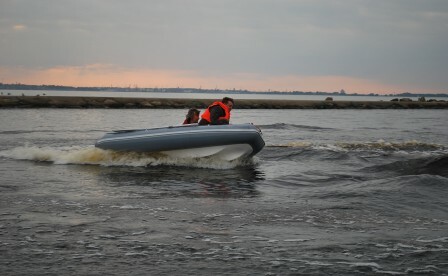 Small-sized boat of RIB (Rigid Inflatable Boat) class. 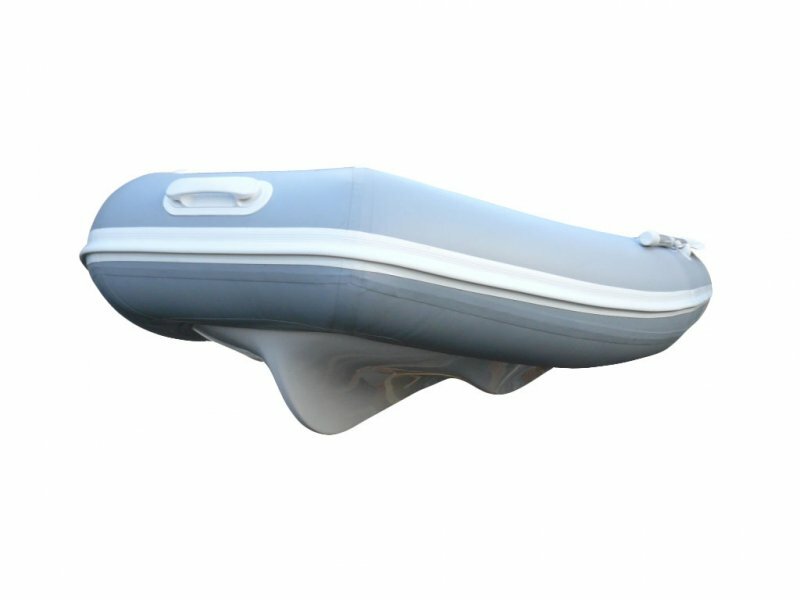 The model consists of a three-chamber inflatable balloon and fibreglass body, representing a reliable design. 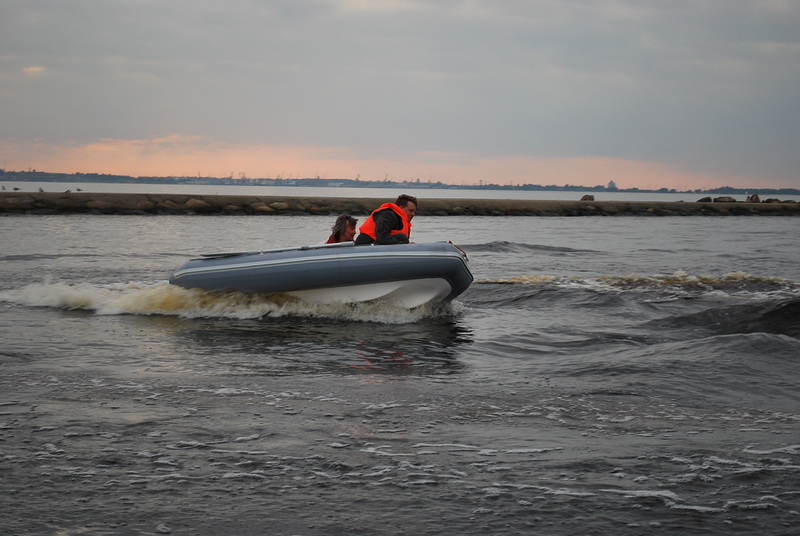 It is hardy and practical boat behaved beautifully on the water and has a high wear resistance. 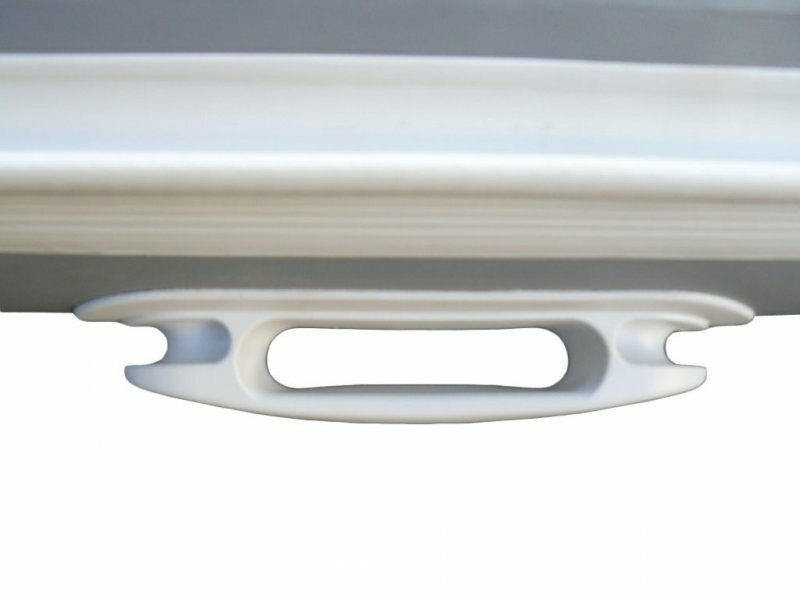 Trimarans hull shape provides increased static stability in comparison with analogues. It may be used as a «tender», i.e. auxiliary boat to large yachts and ships. It is popular with fishermen and hunters. Light weight (40 kg!). 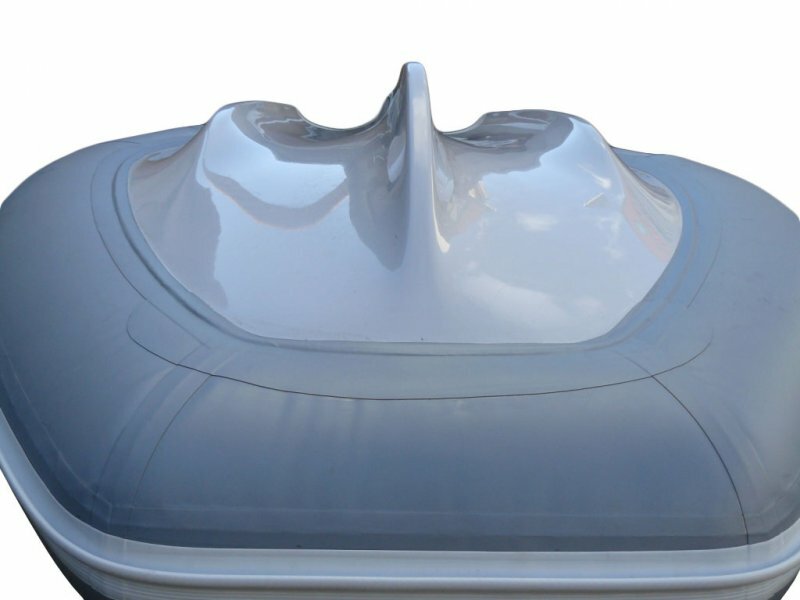 The model is developed for the transportation to any location without the use of the trailer (it is easy to get to the roof of the car). 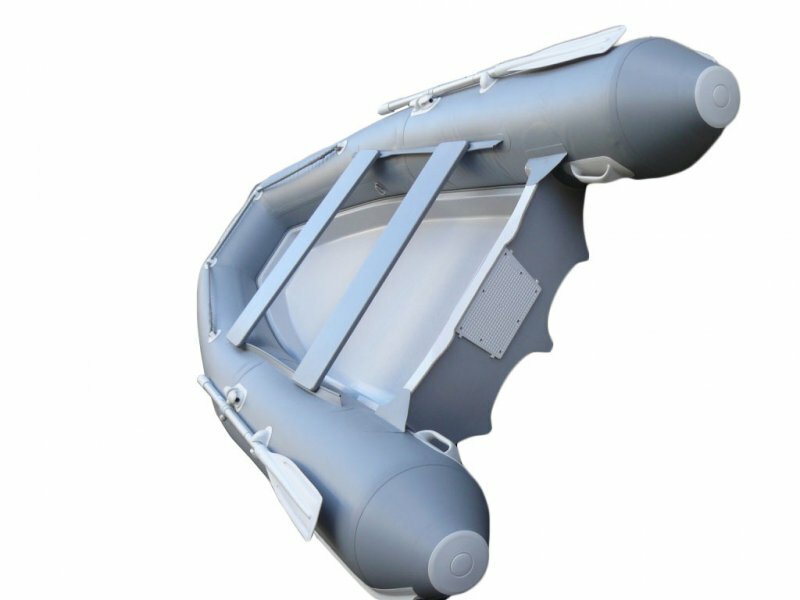 Unsinkability, maximum safety and rigidity are provided by filling the hull with polyurethane foam. 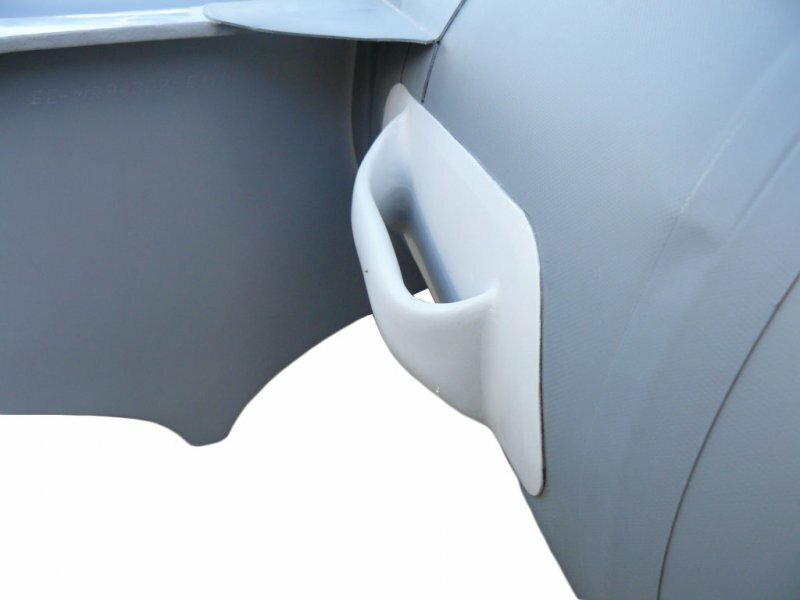 This ensures the unsinkability of the boat in case of damage of all balloon cameras and body. Inner balloon connections prevent the ingress of dirt and foreign matter between the body plastic and bomb. Air – pump 1 p.